Planning to adopt next generation of Offices..
Swiss company Caran d'Ache made 'La Modernista Diamonds' a pen that was sold in Harrods, London, for $265,000. Created in memory of architect Antonio Gaudi, the rhodium-coated solid silver pen has an 18-karat gold pen point and is pave-set with 5,072 diamonds and 96 half-cut rubies . 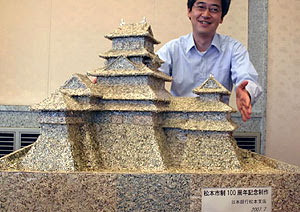 Some folks at the Nagano branch of the Bank of Japan have created a 1/70 scale replica of Matsumoto Castle out of paper money. About 100 million yen [818,000 US dollars] of out of circulation 5,000 and 10,000 yen bills were used in its construction. 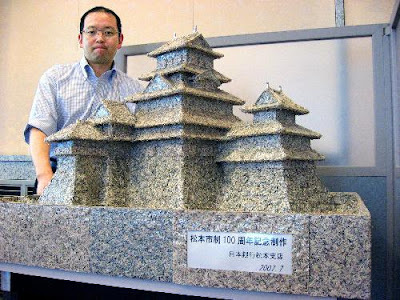 The 70 centimeter tall replica was build to commerate the 100th anniversary of the creation of Matsumoto City. A mushroom weighing more than 20 kilograms has been picked in a forest in Mexico's southernmost state of Chiapas, university officials say. 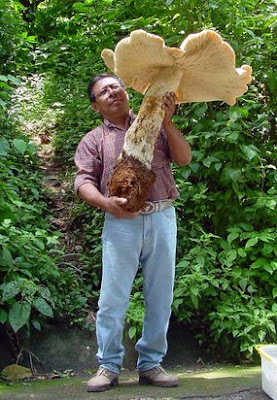 The white mushroom, macrocybe titans, measured a towering 70 cm tall, was found near Tapachula, near the Guatemalan border, according to the Southern Border University Centre. There is no word as to what the researchers plan to do with the specimen.